I got this product for my husband, the grilling master. He loves whipping something up on the grill and we love for cooking it just as much. This past weekend he cooked some bbq chicken (YUMMY) and we forgot to clean the grill from the past time we grilled out. It was all yucky looking,a big baked/caked on mess. So what better time to try out our new grilling brush from Frank's Backyard. An let me tell you we were amazed at how easy and clean our grill became. Normally we would have to soak and scrub but not with Frank. So awesome hubby gave it a nine star. Now that's a very high recommendation. lol Check out video below. When a young woman is brutally assaulted by two men on the subway, her cries for help fall on the deaf ears of onlookers too terrified to get involved, her misery ended with the crushing stomp of a steel-toed boot. A cell phone video of her vicious murder, callously released on the Internet, its popularity a testament to today’s depraved society, serves as a trigger, pulled a year later, for a killer. Emailed a video documenting the final moments of a woman’s life, entertainment reporter Aynslee Kai, rather than ask why the killer chose her to tell the story, decides to capitalize on the opportunity to further her career. Assigned to the case is Hayden Eldridge, a detective left to learn the ropes by a disgraced partner, and as videos continue to follow victims, he discovers they were all witnesses to the vicious subway murder a year earlier, proving sometimes just watching is fatal. From the author of The Protocol, Depraved Difference is a fast-paced murder suspense novel with enough laughs, heartbreak, terror and twists to keep you on the edge of your seat, then knock you flat on the floor with an ending so shocking, you’ll read it again just to pick up the clues. Author J. Robert Kennedy holds his audience captive in this spell bounding Mystery's Best Seller Depraved Difference. I was held hostage to this awesome read. Depraved Difference was so good I had to read it a second time to make sure I hadn't missed anything and put the clues together because OMG the ending. I never would have thought it. This book is filled with lots of twists you'll never figure out the ending... Best Mystery I've read in awhile,highly recommend a must read. I'm ready for the next in this series Tic Tock and The Redeemer. Naomi leads a so-called peaceful life. She lives in a lovely apartment in the center of Tel Aviv with her loving, supporting husband and their two teenage children, works for a daily newspaper, and in her free time concentrates on art. But all this isn’t enough when her entire world is turned upside down one evening after which she’s drawn into a maelstrom of emotions and urges, lies and enigmas. Secrets from the past surface and merge with new ones, and Naomi discovers she’s living a complex life with parallels in several worlds: the people closest to her are also hiding from her their secrets and abusing her trust. 100% Pure Australian Tea Tree Oil. 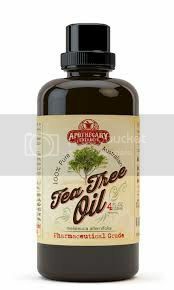 Free eBook 50+ Uses for Tea Tree Oil. One of the most versatile essential oils. Naturally fight Acne, Toenail Fungus, Lice, Yeast Infections, Skin Tags, Cold Sores, Dandruff, Ringworm, Fleas, Warts, Psoriasis, and More.Use to make your own Shampoo, Lotion, Soap, Face Cleaner, Body Wash, and Toothpaste. Stop polluting your home and make all natural Household Cleaners, Detergents, Shower Sprays, Bathroom Disinfectants, and Kitchen Sprays. Every purchase comes with a FREE 100 PAGE GUIDE. We provide you with all the ways to use tea tree oil to improve your life, and replace harmful cleaners around the house. This is your's to keep even if you return the tea tree oil. Our Australian tea tree plantation has received awards for its industry-leading, conservation farming practices. They have the smaller carbon footprint of any producer of pure and natural Tea Tree Oil. The Australian Parliament has invited them to represent farming operators at a Carbon Farming Incentive forum. They were one of the first producers to be accredited under the Australian Tea Tree Industry Association Code of Practice. The nutrition program for the Tea Tree plants is based on organic fertilizers. When using pesticides (a necessity to ensure the health of the plants) they employ a shield sprayer to minimize any contact with the plant. Whenever possible natural crop protection products are used. 100% Organic Pure Moroccan Argan Oil FAST ABSORBING, Certified Organic - for Hair and Skin Care Treatment - 2oz (60ml) - Cold Pressed Oil EcoCert and USDA Approved Oil. Treat Dry Scalp, Nails, Cuticles. Excellent Daily Moisturizer. Guarantee Satisfaction. Results within Days. One of the most important aspects of oil is its quality. The grade of the oil has a dramatic impact on its effectiveness and overall value. UNi's PREMIUM quality Argan oil is Triple Extra Virgin, which is 100-150% more expensive than virgin Argan oil. This is high quality and superior Argan oil and is 100% pure. What Makes Our Argan Oil Superior? The quality of Argan oil is measured using scientific precision. 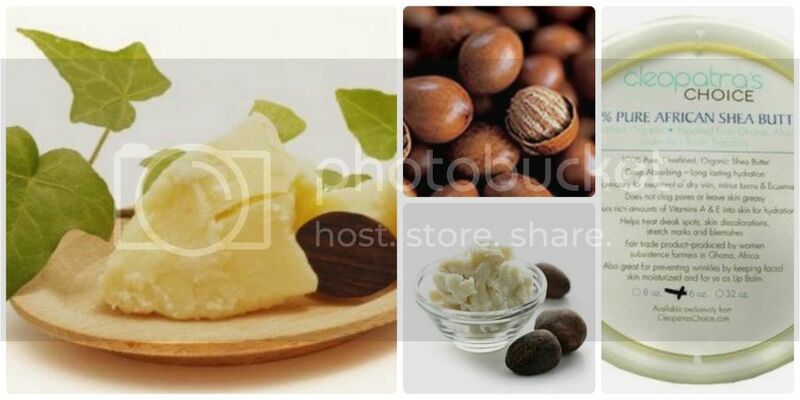 There are seven grades, depending on the quality of the Argan kernel and the extraction method used. The grade of the oil has a dramatic impact on the effectiveness of the oil and the quality. Our Argan oil is considered the extra super grade Argan oil, which is known as "Triple Extra Virgin Argan oil." Our Argan oil has a free acidity rate of 0.31% and a peroxide rate of 1.6% and a defect rate of 0.00%. This ensures that our Argan oil is Triple Extra Virgin Argan oil and of the highest quality. 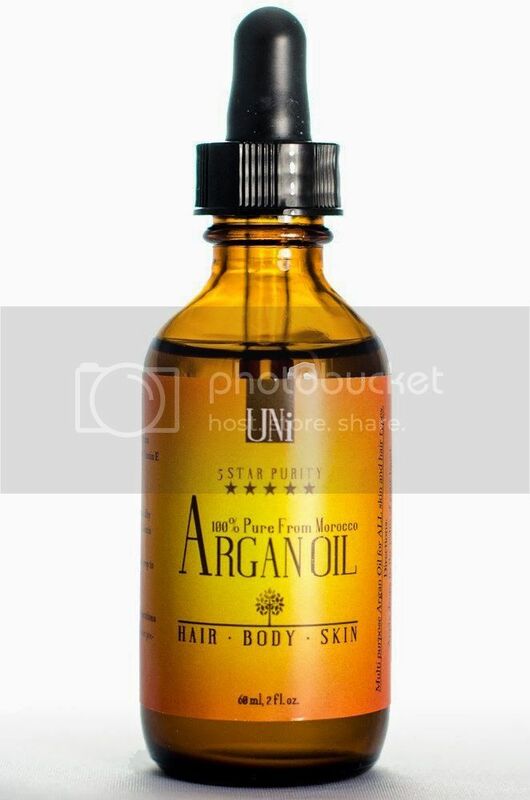 Is UNi Argan Oil Organic? UNi Argan Oil has obtained USDA Organic seal from by IMC, the renowned accreditation authority. 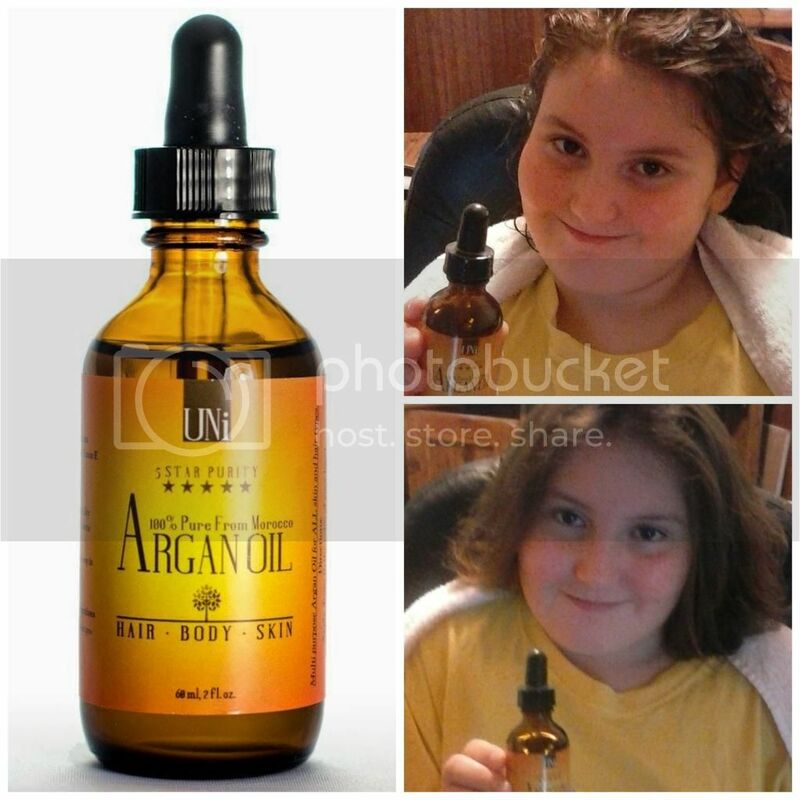 Here is a photo of us using UNi Argan Oil Compliments of Tomoson for honest product review. Her hair is so frizzy and this product helped give it extra conditioning that it needed. Not only did it conditioned it, it also gave her hair slick shine look. I haven't seen her hair look this good in awhile. So UNi Argan Oil works GREAT on hair. I used this product as a foot soak. I added a few drops in my foot tub with warm water and soaked my feet in the solution. My feet felt rejuvenated so soft and smooth also I did same with hands. I soaked tips of my fingers and it help my cuticles. I don't know why my cuticles are in rough shape but UNi Argan Oil straightened the problem right out. Abigail found a magical bicycle in her grandparents' old house, and this bicycle takes her to the magnificent Amazon jungle.Who will she meet there? What will she discover?This beginner reader’s eBook will inspire your kids to be open to new cultures, and be more curious and enthusiastic about exploring various places.Your kids will enjoy full-color illustrations of Abigail and the Jungle life. Abigail and the Jungle Adventure is a sweet children's book written especially for you and your ages 2- 8 children. With simple text and 13 colorful illustrations. viola she was there. This particular time Abigail wanted to go to the Amazon jungle. There she discovered different things about jungle life,such as type of animals and cultures. Abigail couldn't wait to get back home to tell her grandparents all about her adventure. 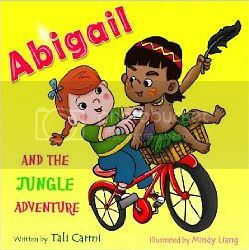 Author Tali Carmi did an amazing job on Abigail And The Jungle Adventure. My kids really enjoyed this book there 8 and 9. Below is a video of my daughter talking about the book. When I asked my son about the book. He gave it a thumbs up but was to interested in his Mr Potato Head. ABB Performance Diet Turbo Half and Half Iced Tea, Lemonade, 8.5 Fluid Ounce You want to get going, but can't be weighed down. This sugar free 8.5 ounce shot supports energy and alertness with a refreshing 50/50 blend of iced tea and lemonade flavor. Zero carbs and calories make it even more appealing. I tried Diet Turbo Iced Tea/Lemonade flavor compliments of Swaggable for an honest review. Let me say this was by far the best energy drink I've ever tasted. It doesn't have that nasty bitter taste that turns your inside outwards.The taste is pleasant you want mind sipping on it for awhile unlike others you just want chug/gulp it down in one swallow. An the best part about Diet Turbo is while it gives you the energy you need your not intaking all those unwanted calories. Also with Diet Turbo half n half you want crash after it wears off. I do recommend this product to those who seek more energy throughout the day. Tip put it in the fridge for refreshing cool drink. I would like to thank Bella and Bear for this great opportunity for letting me do a giveaway for this awesome product. Enter below for your chance to win one of Bella and Bear Eyelash Curler. Only one will win. Good Luck To All. Also Bella has shared a 25% off coupon code to share with my readers. Redeem Here and enter Buzzing1 Valid Thru December 31. ✓ 2 coats for a dramatic look Voila, curly, dramatic lashes! 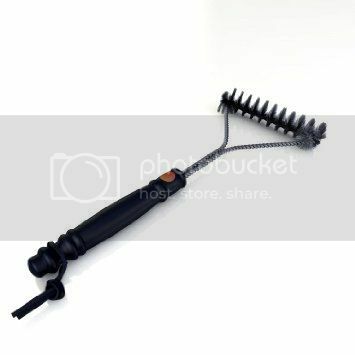 This is an amazing eyelash curler by Bella and Bear. I never used an eyelash curler before so this was my first experience. I was a bit scared to try it looked like some type of torture device. So after I got my nerves up and a little heart chat with this doohickey thing amobb. I tried it. OMG I love it didn't hurt one little bit. I liked that it was padded so it didn't pinch, a plus. It was easy to hold and handle with just one hand. I love the way it made my lashes look. Bella and Bear eyelash curler gave my lashes the ummph they needed. I don't know what I was thinking this curler was going to do (pop out my eyeball). 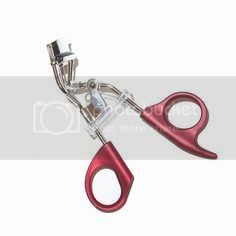 LOL Seriously eyelash curlers in general do look like a torture device. First let me thank Iscah for lending me Seventh Night to write an honest review on. This was a totally awesome book and I had a hard time putting it down. 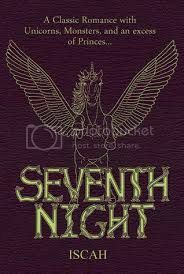 Seventh Night has a bit of everything in it from your fairytale characters (Prince,Princess,Witches and Wizards) to your mystical creatures (Unicorns,Pegues) and your non mystical creatures such as Cyclops and Two headed sea monsters. Even though this is an Fantasy novel, it was quite uncanny. In fairytales you think of happy endings/ever afters well happy anything and everything rite. Wrong, Seventh Night does have your all time romance smoochy smooch parts but it's also full of lies,deceit,deception and betrayal. For eighteen year-old Gemma, life has never been normal. Up until recently, she has been incapable of feeling emotion. And when she’s around Alex, the gorgeous new guy at school, she can feel electricity that makes her skin buzz. Not to mention the monsters that haunt her nightmares have crossed over into real-life. But with Alex seeming to hate her and secrets popping up everywhere, Gemma’s life is turning into a chaotic mess. Things that shouldn't be real suddenly seem to exist. 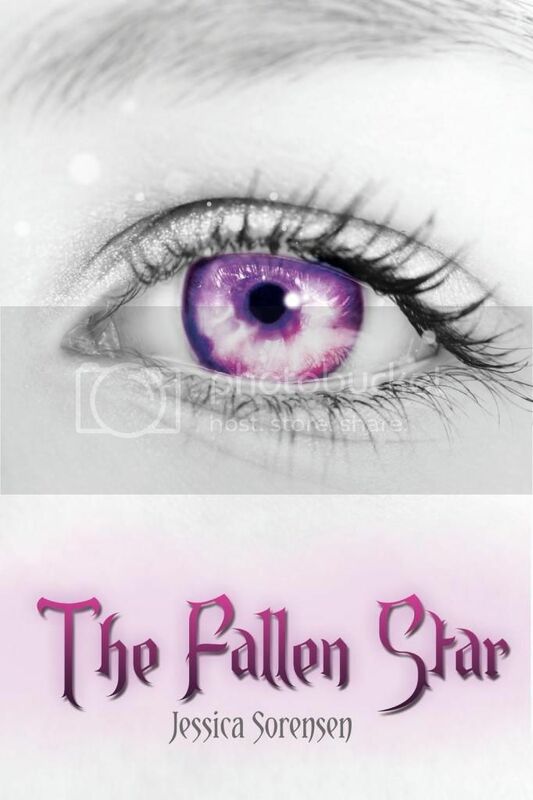 And as her world falls apart, figuring out the secrets of her past becomes a matter of life and death. 4. Heavy duty, quality construction (BUT it weighs in at a svelte 9.3 oz so ANYONE can use it effortlessly) 5. Backed by a LIFETIME Guarantee! (Order yours now because you literally RISK NOTHING!) Order your own Propresser Garlic Press today. Use it in your kitchen to effortlessly press garlic and add loads of flavor to your favorite dishes. Once you've seen for yourself how handsome is the Propresser Garlic Press, how easy it is to use, how quickly you can clean it, we're confident you'll have LOADS MORE than 5 reasons to love it! 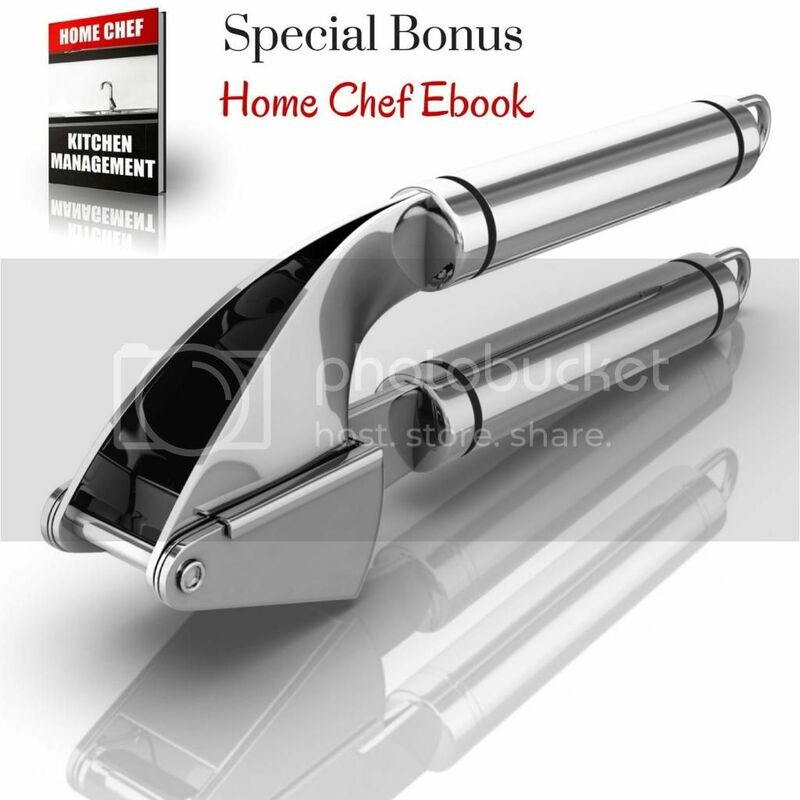 And if you order today we have a special bonus just for you: The FREE eBook "Home Chef" is a 70-page kitchen management book that reveals how to create your ideal kitchen, great tips for you to start that dream Chef career and much more. Get it sent to your email for FREE just for ordering the Propresser Garlic Press. Imagine... you could be enjoying the robust flavor of minced garlic in all of your favorite dishes - spaghetti, lasagna, risotto, and so much more! All you need to do is click the button at the top of this page to have your very own Propresser Garlic Press rushed straight to your door. Why wait till your current garlic presser finally breaks down. Haven't you put up with enough inconvenience? Order your Propresser Garlic Press and join thousands of other satisfied customers who LOVE the Propresser difference!
" I was optimistic about this product well garlic presses in general. I never really saw what was so special about them, just something else to clutter up the kitchen drawer. An why would you want to press garlic when theres seasonings like garlic powder that's much easier and faster to use? Well I tell you why Propresser Garlic Press is so amazing!! One I never used garlic cloves before and I found that cloves have a fresher more garlic taste than the powder. Also you don't have to peel the before using. I love that it's stainless steal more durable. It's easy to clean no need to worry about garlic particles getting stuck in the press.It's dishwasher safe.Easy to handle,my 9 year old could use it." Eye Cream for Under Eye Dark Circles, Wrinkles, Puffiness, Crow's Feet, Fine Lines & Bags - By Body Merry - BEST Natural & Organic Anti-Aging Formula (Peptides, Retinol, Hyaluronic Acid, Cucumber & More) - Also for Men! - 100% Money Back Guarantee When You BUY NOW! *Do you want your eyes to express everything but your age? Then try our easy on the eye solution for all your eye woes including Dark Circles, Wrinkles and Puffiness. *Made up of Natural and Organic components designed to work on All Skin Types. Our product is also free from Parabens, Sulfates and Phthalates. *Eclectic blend of 70+ power packed ingredients including: Vitamins C + E + B5, Peptide Complex, Amino Acid Emulsification, Hyaluronic Acid, Retinol, Antioxidants, Aloe, Cucumber, Green Tea and many many more! *Proudly made in the USA in an advanced, cruelty-free, FDA registered & GMP compliant facility. *100% SATISFACTION GUARANTEED: All our products are backed with a 90 Day Guarantee so indulge yourself with some RISK FREE SHOPPING when you BUY TODAY! If you don't like our cream, we'll refund the full price. You keep the bottle, and we won't ask any questions. If you haven't experienced Body Merry (Age Defense Eye Cream) you need to. It's natural and organic so it a work on all skin types. I have sensitive skin and I haven't experienced any problems while using this product. Now when I first applied Body Merry I did experience tingling and a light warm sensation,but went away. I even had my husband try it to see if he had same experience. Not telling him of my experience, I asked him what he thought of Body Merry. He also said he felt a slight warm and tingly sensation. Not to worried cause I have used other products with same effects I kept on using it. I mainly wanted to try this product to help with dark circles and puffiness around my eyes. After using Body Merry for a few days. I started seeing the results my dark circles started slowly fading and no more puffiness. 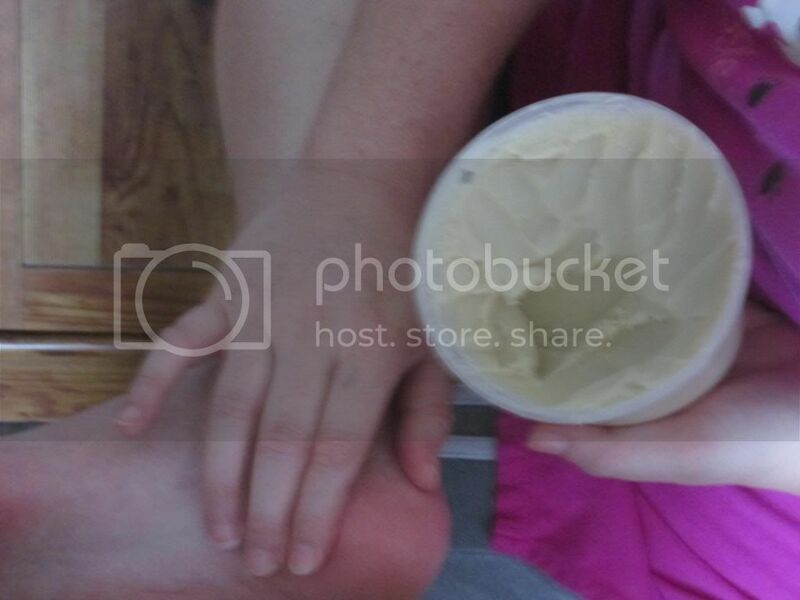 I was surprised when I received my tub of Cleopatra's Choice Shea Butter. It was more than I expected, I'm like what/where all can I do/use with this. Do you still have troublesome dry spots after you use lotion? I used to until I started using Cleopatra's Choice Shea Butter, no more worries Cleo's got you covered. First place I started with was heel of my feet and ankles. Those are my troublesome areas even after using lotion it still leaves them rough and dry. (Tip don't dip into the container just lightly glide two fingers over top and gently rub trouble areas). Cause I dipped in and left my heels greasy and had to wipe the excess off with a towel. After experiencing this I made sure not to make that mistake again. So I used a bit less on my elbows they to needed some extra TLC. Even using less it does leave skin bit greasy but soon as it absorbs into the skin(about 1 min), Shea Butter leaves area smooth and non greasy. Cleo is a big hit around my house as you can see my tub is getting mighty low. lol Yeah everybody loves dipping in and using all my stuff up. An to be honest I didn't think we would use Shea Butter all that much. HUMPH We keep finding more use for it everyday. We even use it as lip balm.I had a sore on side of my mouth and it hurt. So I put a dab of Shea Butter on and instantly I felt relief. It didn't take it long to heal either. Also my daughter has bad allergies. She's all the sneezing and having a runny nose and her nose gets raw and red. So I told her to rub a small amount around her nose and It soothed it. PEPCID® products start working fast and offer uncompromising relief that lasts. With a range of products, PEPCID® works by reducing the stomach acid that causes heartburn. PEPCID® COMPLETE® is a dual-action product that combines an antacid with an acid reducer. As a result, it starts working in seconds and lasts all day or all night. * And, just one PEPCID® COMPLETE® gets the job done! So when it comes to heartburn relief, don’t settle for relief that doesn’t last the day. PEPCID® COMPLETE® is available in two great flavors: Berry & Cool Mint. I received a sample of Pepcid as a courtesy of Smiley360 for an honest review. Want to jump-start your weight loss and improve your health? This book reveals the weight loss and detox secret. Let me introduce to you the newest fast food: the green smoothie. This mixture of sun ripened fruits and earth harvested vegetables can be made in seconds. You can say “Goodbye,” to the regret that normally comes along with eating fast food. Green smoothies are nutritious, providing your body with vitamins, minerals, and anti-oxidants. Packed with nutrients used to fight diseases such as diabetes, cancer, and heart disease, you will begin to wonder why you have gone so long without enjoying green smoothies. In this book you will discover: What is a Green Smoothie? What’s So Good About Green Smoothies? Nutritional Value and Health Benefits of Green Smoothies The Healthiest Weight Loss Program Methodology Types of Green Smoothies Tasty Tips 50 delicious recipes inside The book includes 50 delicious recipes that use green leafy vegetables, fruits and non-dairy milk or yogurt to create nutritious, filling drinks for your day-to-day menu. 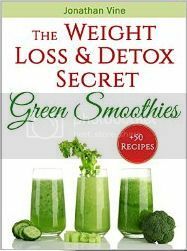 Whether you are brand new to the world of green smoothies or you’ve enjoyed them in the past, don’t miss this great book! Each recipe offers different variations or tips and tricks so your job is truly simple: follow the recipes and enjoy a glass of pure, healthy food! When I first started reading this book I wanted to throw it across the room. How dare you tell me to take out my junk and fast food and replace it with Green Smoothies. Most of us we don't want to hear the D word "Diet" urgh that's such a nasty word or the H word "Healthy" both should be taken out of vocabulary use and dictionary. Gotcha LOL Seriously I love my junk and fast food like the next person but Green Smoothies actually gave me a different perspective/insight on how to change your daily eating habits. I tried Green Smoothies Almond and Strawberry Smoothie for breakfast one morning and you know what it actually tasted great. My kids loved it and I'm not telling them that it's good for them Shhhhh. Also on this smoothie you can use blueberry or raspberries and now we have fruit smoothies for breakfast. There's many more I would like to try like the Kale,Tomato,and Cucumber Smoothie I know it sounds awful but I love cucumbers and also the Spinach and Banana Smoothie says it's a great energy booster. Umm I could use all the energy I can get.. Along with each recipe Green Smoothie gives you tips on what other fruit or veggies would be good with that particular recipe and what it helps with like weight loss, energy booster or boosting digestion ect. If you haven't experienced the benefits of Green Smoothie then you should really order there book and start today. You don't know what your missing. Now I do still eat my fast food but less of it thanks to Green Smoothie.... I received one or more of the products mentioned above for free using Tomoson.com. Regardless, I only recommend products or services I use personally and believe will be good for my readers. Even Glow Serum is formulated with powerful natural ingredients to support and enhance Vitamin C efficacy. Rosehip Seed Oil and Sea Buckthorn Oil: are super oils work simultaneous to increase hydration and lock in moisture. Each oil's superior antioxidant content further promotes healing of damaged skin to produce a more even glow and more beautiful youthful looking skin. Resistem: Natural Plant Stem Cell protects skin from stress related aging. Encourages a natural glow while promoting skin detoxification. Hyaluronic Acid (Botanical): Helps to repair the skin's ability to retain moisture and increase elasticity and firmness. 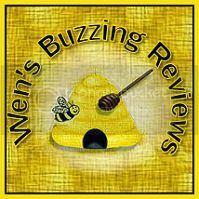 Let me start by saying, To give a Fair and Honest Review on products that I try or test. I don't/want test multiple products at same time I will only do that if products are for different part of the body. On with the process I put a few drops on my fingers and applied to my face starting around the eye area going around in small circles until entire face was covered. As the Even Glow dried I could tell that my skin started to feel a bit tight. An the aroma of Even Glow was very relaxing had a nice citrus scent to it. A few day's later I noticed that my face started to itch. I thought I might be allergic to something in the serum but I never broke out in a rash or anything. An I haven't used/done anything differently. So I decided to cut back on the serum maybe I was using to much. That must of been what it was cause I haven't had anymore problems. Unless you want to call having Fabulous Skin a problem. 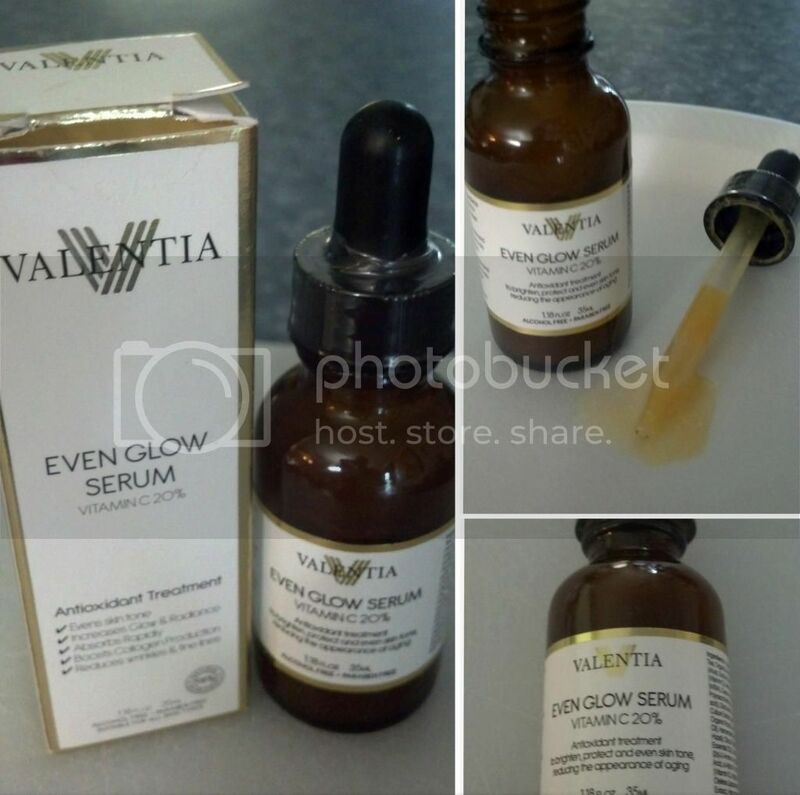 After using Valentia Even Glow for about 2 weeks,I noticed tremendous difference in my skin. My face was much smother/softer,a few wrinkles I started receiving has faded and it has helped my skin tone. I look and feel younger than ever thanks to Even Glow.. Here is a facial recipe Valentia has shared with me and I'm passing on to you. I have not tried this one yet. it is too watery, add more powder. If it is too thick, add more water or aloe. 3 - Leave the mask on for 20-30 minutes. Then remove with warm water and a soft washcloth. 4 - Follow with your Even Glow Serum and favorite moisturizer. mask 1-3 times per week.